My taste in movies runs toward the bombastic. If a DVD has car chases, aliens, gunfire and explosions, count me in. And crank it up. Big, loud movies call for big, loud audio and that doesn't always play well with the other members of my household who might be another room reading a book or watching another program. We've discovered the key to maintaining a peaceful coexistence: wireless headphones. When I'm wearing a pair, I get my fill of raucous action, the house stays quiet, and I can wander into the kitchen for a snack without getting untethered. I have one set of wireless phones connected to the primary TV and another attached to the TV in the bedroom. The bedroom set has proved to be just the ticket when she's ready to sleep and I'm ready for another episode of "Breaking Bad." Another reason I like wireless headphones is that after attending too many loud rock concerts, my ears don’t tune in a movie’s dialog or other quiet passages, particularly the high frequencies, as well as they used to. One model that is especially good in that area is IR210T from Able Planet, a company that makes a full line of headphones designed for people with some level of hearing loss. The IR210T have a pair of padded cups that rest comfortably on your ears. 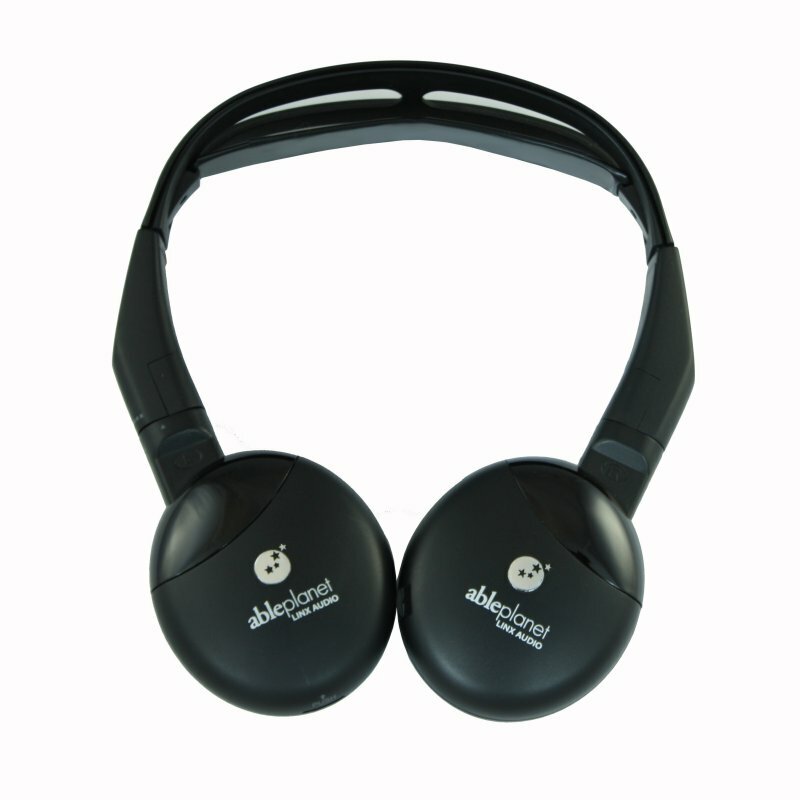 The cups are connected to a headband by a unique swivel that turns off the power to the headphones when they are removed or laid on a flat surface. In other words, they automatically power down when they’re not in use and that extends the life of the two AAA batteries that fit inside one of the cups. A rechargeable battery would have been a nice addition, but the automatic shut-off feature is the next best thing. The stereo sound comes from an infrared transmitter that connects to the headphone jack of a TV or another audio source. Infrared, by its nature, delivers lower fidelity that what you would get from a cable connection. But the Able Planet phones come pretty close. And their Linx Audio technology, which boosts the higher frequencies to help people with hearing loss, helps add clarity to speech and music. Even when I turn down the volume, I can hear and understand all of the voices, even those in the commercials. The Able Planet IR210T costs about $100 from online sources such as Adorama.com. Nice! I've been looking for something where I won't wake up with the wire twisted around my neck. This looks perfect!! Another attraction of the PD phones - if you fall asleep and they slip off your head, they automatically shut off. my computer is in the family room, will they still receive from the living room? My "reading" chair is about 35 feet (11 meters) away. You should be okay at about 35 feet but I wouldn't count on a clear signal much farther than that.